Custom Turf will be on display at the Buffalo Home Show 2017 for the two weekend event. Stop by booth # 724 to touch and feel our premium artificial turf first hand. Come see how Custom Turf can help you eliminate the mud and mess from your backyard which in turn eliminates mud from your porch, kitchen, curtains, carpet, furniture, etc. 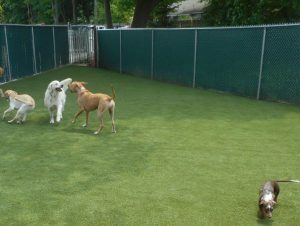 Your 4-legged friend will have year round endless and clean fun on our premium pet turf. Check the many possibilities of using synthetic turf on your residence or commercial property. Custom Turf has been providing clean paws and happy owners across western New York since 1996. 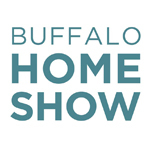 The Buffalo Home Show runs March 3-5 and 10-12, 2017. Featured this year is the Design Home Presented by Buffalo Spree Magazine & Channel 2 WRGZ. Tour a 1,400 sq. ft. house that features the latest design trends, home renovation and a cutting edge decor. This give people the opportunity to get an exclusive peek at brand new products and the ability to speak to the design experts that put it all together. Lorissa & Chris Naugle is a husband and wife duo that have done over 100 real estate deals in Buffalo, NY. Chris, the financial advisor and Lorissa, the realtor make for a powerful and successful real estate couple. In addition to flipping houses they’ve also formed an educational program to teach others how to be successful at flipping houses, with an expertise in doing it in western New York. Chris Lambton the host of Yard Crashers and former contestant on ABC’s The Bachelorette, visits the Buffalo Home Show this year. Chris has experience in landscaping, hardscaping, gardening, lawn care and maintenance for multiple areas of outdoor living spaces.